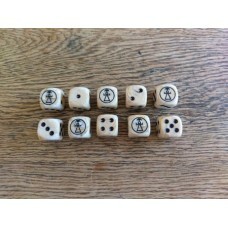 A Set of 10 - Ancients Athens Owl Dice (16mm). 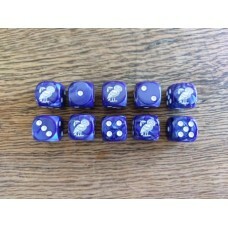 These custom designed dice ..
A Set of 10 - Ancients Carthage Tanit Dice (16mm). 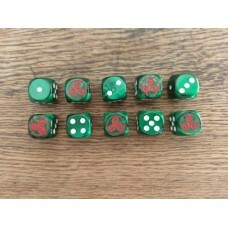 These custom designed d..
A Set of 10 - Ancients Celtic (Gaul) Spiral Dice (16mm). 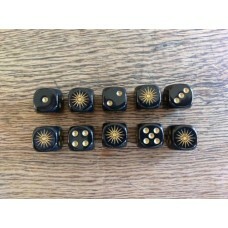 These custom desi..
A Set of 10 - Ancients Macedon Sun Black Dice (16mm). 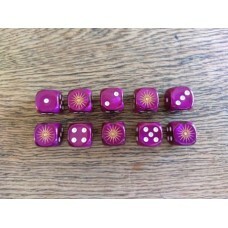 These custom designe..
A Set of 10 - Ancients Macedon Sun Purple Dice (16mm). 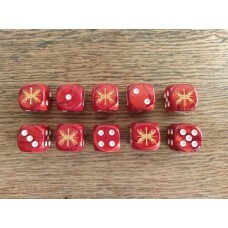 These custom design..
A Set of 10 - Ancients Roman SPQR Dice (16mm). 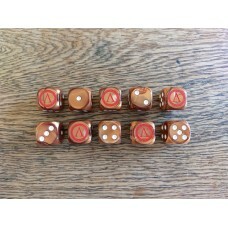 These custom designed dice ..
A Set of 10 - Ancients Spartan Lambda Dice (16mm). 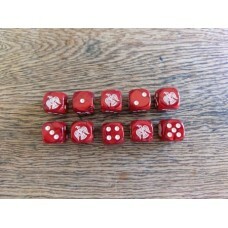 These custom designed d..
A Set of 10 - Ancients Viking Raven Red Dice (16mm). 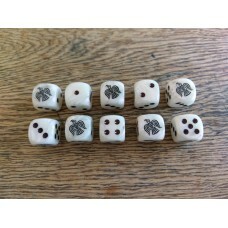 These custom designed..
A Set of 10 - Ancients Viking Raven Pearl White Dice (16mm). 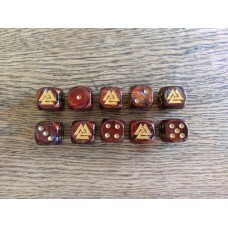 These custom ..
A Set of 10 - Ancients Viking Valknut Dice (16mm). These custom designed d..